While in college at Pune, Danish Mir thought about an idea of having an online portal exclusively for Kashmiri products like shawl, saffron and walnuts which were extremely famous and in demand. His friends and locals, who acknowledged his belonging to Kashmir, would assign him a list of things to bring on returning from vacations. Observing the opportunity of business for Kashmiri products, Danish prepared a plan but before implementing it in reality, he was placed at WIPRO BPO as the college ended. Working there as a senior associate in the airline process for two years, he learned the soft skills, communication and its powers, solving problems for others, professionalism, giving and earning respect. This made him think that he was then eligible enough for a business and again the idea he had in his mind earlier evoked. Going back to Kashmir, he discussed the business plan with his family and they were supportive in every way possible. “People think it is easy to have an online store or an e-commerce business but it’s not so. From website developer to content writers, marketing to delivering, photographers to models, trend analyzers etc., play crucial roles in building up a successful e-commerce business, and getting the right people in the team is the biggest challenge,” mentions Danish. Though Danish was from a middle class family hailing from a small village in Kashmir, it was his friends and siblings who funded his business and believed in his passion. With lack of e-commerce exposure and resources at the place he resided, technology proved out to be a boon. “Google and YouTube made the understanding process clearer and easier. Initially, hiring professionals wouldn’t have been the right decision, and hence, it all initiated with the help of freelancers,” he says. The challenges that then came in the way were the downfalls in execution of the plans due to lack of determination from few of the freelancers, yet Danish felt relieved at times looking at some amazing work done by the dedicated freelancers with him. 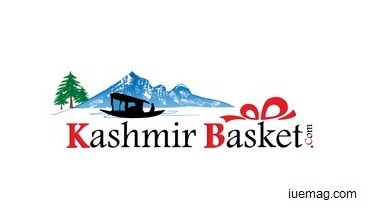 With a mix of hope, support, passion and positive attitude, the KashmirBasket.com was born. When Danish was on the search for models for the shoot luckily his friends came forward to be a part of Kashmir Basket. “The society has killed many dreams as a result of its norms, and I too faced the same. It’s been a lesson that when chasing our dreams we must ignore what others think. The society would think of me as a burden on parents at 26 years of age while others of my age support their families, but my family never made me feel so and are happy to see my dream venture live,” narrates Danish. Kashmir Basket being a geographical indicator of products has opened doors to the worldwide markets and the expansion, while fulfilling the demands on time are the challenges Danish and his team have to overcome soon. Kashmirbasket.com has made a big start by availing genuine Kashmiri art and craft made by renowned and experienced manufacturers delivered to your doorsteps. Its mission is to make people around the world comfortable and aware about online shopping of authentic products from Jammu & Kashmir. So far, Kashmir basket has been a profitable, as well as, a happy business with customers who are happily spreading their feedback over the quality of products and dedication of the team. Taking marketing to the next level, they are at initial stages of having a SEO for the company along with the help of Facebook and Google Ad words. While we all enjoy the pure products straight from Kashmir, we might help them grow towards their dreams to become a stronger and responsible business making people the ‘happy costumers’ of Kashmir Basket all across the world with endless options of products. Any facts, figures or references stated here are made by the author & don't reflect the endorsement of iU at all times unless otherwise drafted by official staff at iU. This article was first published here on 17th May 2015.